Yes, India’s Home Minister P. Chidambaram has stated that India is home for skilled and semi-skilled worker. So India doesn’t need Chinese workers coming to India in Power Sector. Home Minister has asked companies to recruit Indian workers instead of Chinese workers. On the other hand, Chinese Government is furious over India’s decision of not providing visas to Chinese workers. Some years back Indian Power Sector opened up for foreign players. India allowed foreign companies to bid for Indian Power Sector. The result was introduction of two Chinese companies “Shanghai Power” and “DongFang Electronics” bidding for Indian Power sector. Chinese Government has stated that Chinese workers are skilled to handle Chinese boilers and turbines so let them work. But P. Chidambaram has taken a strong stand of not allowing them visas to work in India. It’s good to see that Indian politicians taking strong stands but it will be interesting to see how long they will be able to withstand this decision. But I don’t understand one thing. Reliance power also asked Shanghai Powers to serve power sector in India, but they strictly said that they will employ Indian workers only. So why can’t Indian Government state such thing while signing the pact only? The day, 14th September 2009 was a sweet and sour day for me. Sweet for India winning the Compaq Cup against Sri Lanka. And sour for Roger Federer losing to Del Potro in US Open 2009. India earlier in the day (in Sri Lanka) scored a throbbing 319 runs and stamped their name on Compaq Cup 2009. But then Sri Lanka showed some extravagant cricket and tried to come back in the game but failed to do so in the end. Sachin Tendulkar once again showed his class by scoring 138 of 133 balls and once again proved why he is called Master Blaster. Almost 20 years in cricket and the same, exactly the same enthusiasm he showed on his first international cricket match. Harbhajan Singh broke the important partnerships in the game and earned himself a stylish man of the game award. Sachin got himself getting the Man of Series for 14th time and man of the match for 59th time, mind you all this is also a World Record. Seeing India win again was very delightful. But on the other hand, after some time there was men’s final of US Open 2009. It was very bad to see Roger Federer loosing after being so much close to winning it yet again. It was “So close yet so far” game for Federer. Federer could have won the match in fourth set itself but Del Potro showed some real class and outperformed the World No. 1. But I am happy for Federer for one thing that he did not fall easily as Rafael Nadal. Nadal was beaten in straight sets 2-6, 2-6, 2-6 to Juan Martin Del Potro in the semi-final match. Federer showed his class in the match. Though the man, Del Potro was trying to out-perform Federer every single time, Federer showed why he is World No. 1. But then luck was not with him, or rather Del Potro’s hard work outweighed Federer’s luck. But if one gives 100% to whatever he does then loosing or winning doesn’t matter much. When I was watching the game between Nadal and Del Potro I was a bit scared. I was thinking whether Federer will be able to contain this man, as a power player like Nadal was not able to. But Federer showed that Potro is not unbeatable. Congrats to Indian Cricket team, Juan Martin Del Potro for winning their respective matches and hard luck for Federer. You tried everything Federer, but the day was not yours. All the best to Federer and I am sure you will be able to beat Del Potro in your next meeting and will take your revenge of defeat here on Flushing Meadows. Indeed its a moment of pride for India. Instead of taking pride in Formula One where nothing is Indian, plume in first jet engine made completely in India by Indians. The dream has finally come true for India and Dr. Mohana Rao after almost 20 years. Dr. Mohana Rao saw a dream of creating a jet engine way back in 1989 when he was working as Junior Technician at the Gas Turbine Research Establishment (GTRE), Bangalore. He worked hard since then to build a jet engine for Tejas Light Combat Aircraft. But for DRDO this end to the story is a bitter one as this program was very much criticised. As this engine was supposed to be designed for Tejas and was to be of weight 1100 kg but finally came out to be 1265 kg. Similarly Tejas also grew in weight. This is the reason why the made for each other machines could not meet with each other. This is the main reason the DRDO is under criticism. 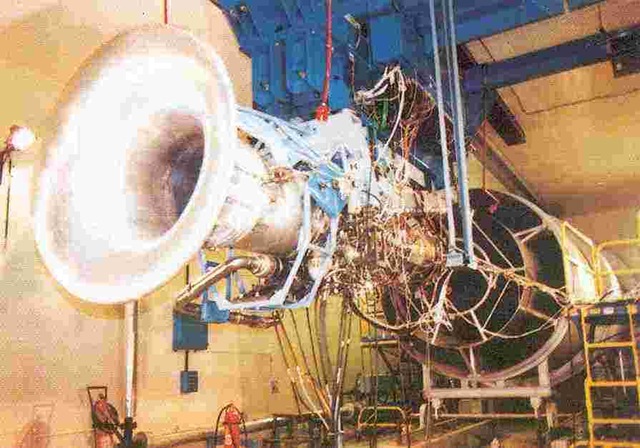 Now Tejas houses engine from American GE, GE 404-IN which is able to provide it the desired power. This can be an end to Tejas saga but what about Kaveri? Well, Kaveri is now thinking of rejuvenating. Rejuvenating will not be an exact word, but kind of thinking to get more powerful and aesthetic. For that it will require foreign expertise and technology and for that Kaveri or rather GTRE is thinking of joining hands with French aero engine major “Snecma”. Russia’s NPO Saturn was also in the race but India choose Snecma than Saturn. This is really a success story for India and keeping criticism away from ears and in mind DRDO should walk along the development road. Yes, the question is can we really call it a nervous breakdown. I will say it is in a way a nervous breakdown. It was really funny to see 7th seeded player sulk with such a vigour. 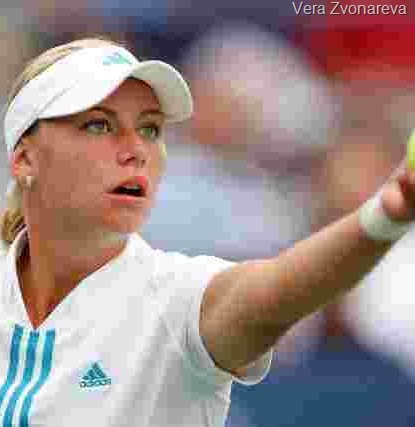 Yes, I am talking about Russian Vera Zvonareva. In yesterday’s match she was really sulking hard when the match was in third and final set. Zvonareva won the first set and then kept on loosing. But even though you are in a bad shape at the game you should not sulk so much on the court. That doesn’t show the sportsman’s spirit. And so much of anger from 7th seeded is really not expected. Zvonareva was really kicking her knee, spanking her knee with racket, tearing off her bandage etc etc. Commentators rightly named this thing as “Self Abuse”. 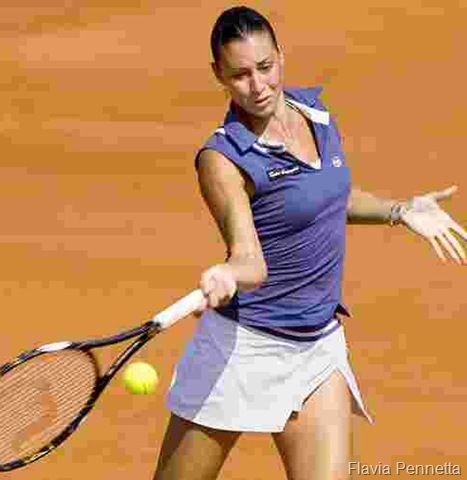 But Flavia Pennetta deserved her win over Zvonareva as she seemed more composed and maintained cool attitude all along the game.